← Time to Update the Blogtionary! This looks a tad like last week’s WW, but it’s different. I like this one. I like me. Heck, I’m a Scottie. I can like what I want. And I usually do. In case you’re just joining us, today is Wednesday. And that means only one thing: time for some StuART! Here’s where I share my art with you. But remember, it’s all about me. And, if you’re new to Scotties, well then, you’ve come to the right place. See, it’s all about me. Don’t forget that. Hey! Don’t forget to add to the Blogtionary! Make a submission by leaving a comment. Stay a while. And browse around. 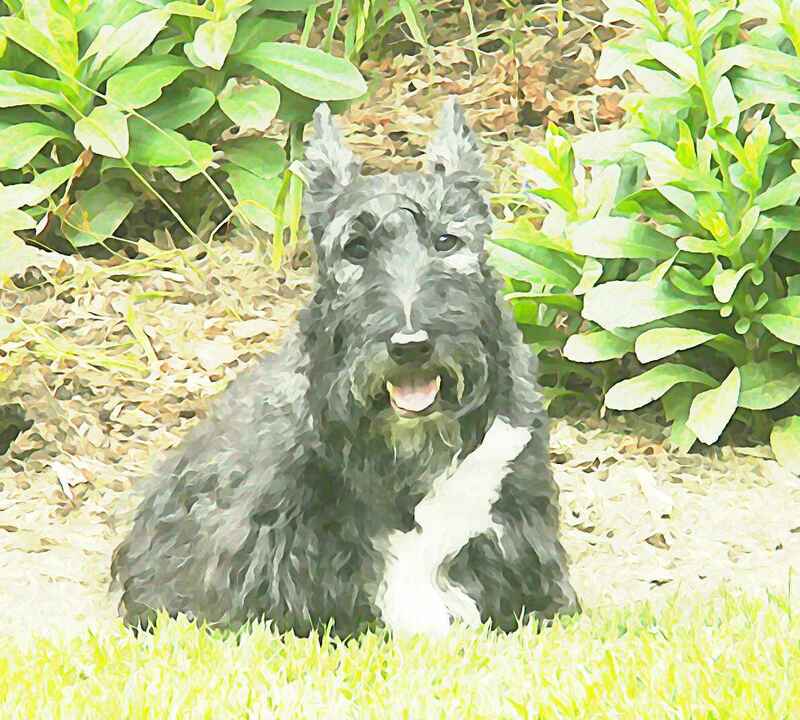 This entry was posted in The Scottie Chronicles and tagged art, dogs, Scotties, Scottish Terriers, watercolors. Bookmark the permalink. I’m trying to think of an update to the Blogtionary. I did, however, come up with StuART. That should go in! You are SO RIGHT! If Kyla sez so, it must be done. We like this zen version of you better. You look very relaxed and calm.Elsa and Andy had to go to the dogtor today. Andy got drops down his long snout for some kind of cough preventative thingy. Elsa has to get blood drawn every 2 weeks for her immune issue. But I got to stay home – outside my kennel – and rule the roost. wooooohoooooo! Hope your mates appreciate that you held down the fort! Aw. You’re sweet. No sweeter than you Misaki! You look good in any color. We love your superduper smile, Stuart! Back a’ cha you guys!